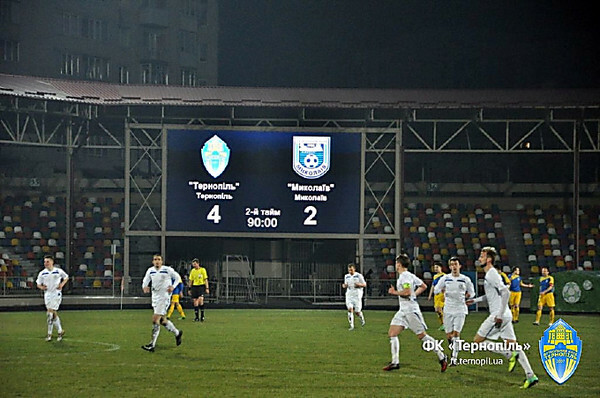 Journalists suspected IFC "Nikolaev" of fixed matches - "games on office"
IFC «Nikolaev» in the current season I could participate in fixed matches. Suspicions concerned even friendly duels. About it there is a speech in the program «Game without rules» TV channel «2+2» , transfers «Nikolaev soccer». In particular, especially the attention was drawn by a match «Ternopol» - «Nikolaev» (4:2) in which the defender of IFC Khokhlov, judging by video (to look from 9:11), picked up a ball in the penalty area and I sent it to a grid of the gate. Suspicious character of a match was declared by Francesco Baranca, the head of the organization «Federbet» , which is engaged in investigation of contractual games. - We were shocked by fluctuations on the totalizator. At the score 0:0 on 30-й to minute the coefficient that in a match five balls will be hammered, fell with 1,9 to 1,2. Such it is possible in two cases. 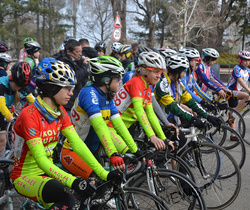 The first–if to all defenders of away team it becomes suddenly bad, the second–in case of speculation. Someone put big money for result and possessed certain information–many bookmakers cleaned this match from lines. According to their data, this match was absolutely precisely dishonest, - the Steering-wheel speaks. Also the ex-the defender of IFC Roman Adamenko, which commented on itearlier already I declared that «Nikolaev» participates in "dogovornyakakh". He suspects that Khokhlov could score specially own goal, «having fulfilled» on the president of FC «Stepovoye» Vladimir Pogorelov who sent him to team. - To play the second circle, it is necessary to pay a contribution. This contribution was paid by the president of one of clubs in the Nikolaev area ( «Stepovoye» - NF) also gave 3-4 players…the president won't waste just like that 300 thousand hryvnias. It should have from it something, - Adamenko speaks. Also he stated the suspicions concerning matches with «The miner - Sport» from Komsomolsk and Chernovitsky «Bukovina» , which lost IFC of the house with the score 0:5 and 0:4 respectively. 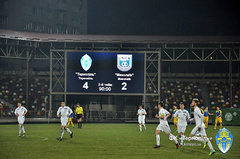 - The championship in July began, like such suspicions caused nothing, the turn of game with Komsomolsk didn't come yet. When after game I started watching video, already I thought that it is possible to eat some problems here.Then between us in collective hearings already started going that two - three persons played «on office». - Started noticing that there someone didn't reach, someone недоборолся. After game (with «Bukovina» - NF) arrived home and children started saying that vice-the president with the head coach (Oleg Kirshov and Oleg Fedorchuk–NF), most likely, had something from this game, - Adamenko speaks. - There where - that I didn't run, there I implanted a foot where it wasn't necessary. Since the first moment of it not to understand. Roughly speaking, you want to beat out a ball in a miss, and you develop «cheek» absolutely in other party because you understand in mind that you have a totalizator, - supplements his story one more ex-the player of IFC Dmitry Ostapenko. In addition, in the program unnamed «expert» in game on the totalizator I expressed opinion that could play IFC «dogovornyak» even on a friendly tournament in Cherkassy. 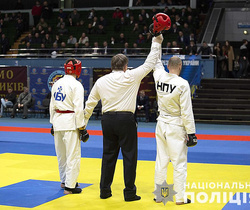 In exchange on «compliance» allegedly could provide to nikolayevets comfortable participation in a tournament.